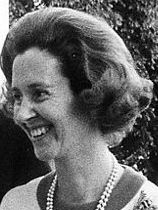 Queen Fabiola of Belgium (born Doña Fabiola de Mora y Aragón; 11 June 1928 – 5 December 2014) was the widow of King Baudouin. She was queen consort for 33 years, between her wedding in 1960 and her husband's death in 1993. The couple were unable to have children. When he died, the crown passed to her his younger brother, King Albert II. On 5 December 2014, the Belgian Royal Palace announced Queen Fabiola had died that evening at Stuyvenbergh Castle in Laeken, Belgium, aged 86. This page was last changed on 16 November 2015, at 12:25.